Bushman's Tobacco leaves have been smoked for centuries by the Bushmen as a nicotine-free alternative to tobacco.It is also used medicinally to clear sinuses, alleviate headaches and coughs and in massage oils and perfumes. Tarchonanthus camphoratus is native to South Africa, growing into a beatiful, small tree/bush with gray leaves and white flowers. 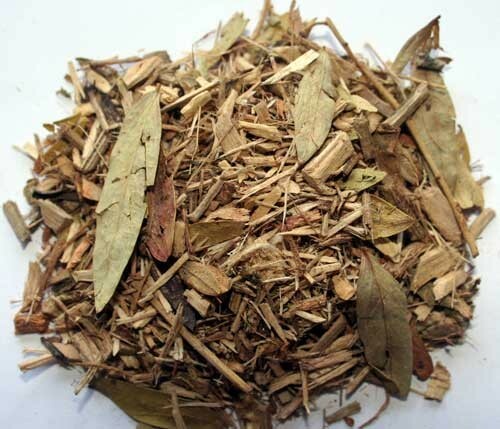 Our Tarchonanthus camphoratus is wild harvested in South Africa and is free of pesticides or chemicals.